Complying with FSMA Regulations: Refrigeration Tracking with Tracking Systems | Tracking Systems, Inc.
We all want to eat food that as fresh as possible. As a fleet manager for trucking company that transports good in a refrigerated truck, it is your responsibility to make sure that your product arrives at the destination in tip-top shape. 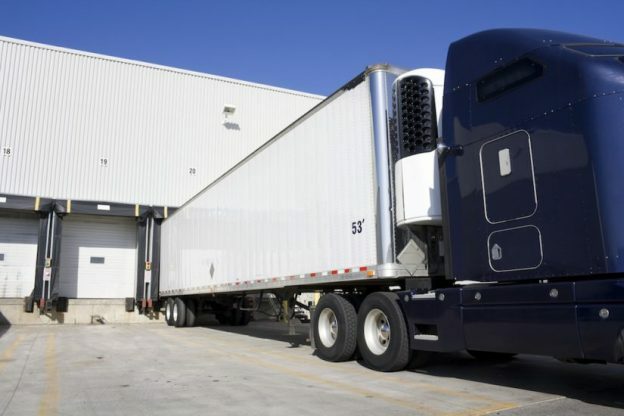 When your fleet transports food across long distances, it is important to be on top of all the laws put forth by the Food & Drug Administration so that your company is in compliance and ultimately, the product is safe when it gets to someone’s table. In the spring of 2016, the FDA finalized its new food and safety rule to prevent food contamination specifically during transportation as part of the Food Safety Modernization Act (FSMA). This rule requires those involved in transporting any human and animal food, from shippers to receivers, follow best practices for safe transportation. Fleets must be fully compliant by April 6, 2018, unless you follow under the exemption. For a list of the exemptions and all of the details, click here to view the full law. As the manager, in order to remain in compliance, you now face a 24 hour/7 days a week practice: checking temperature levels. Managing a fleet of vehicles that are often away for extended periods of time makes staying in compliance a challenging task. Tracking Systems makes this task easy. Our goal at Tracking Systems is to make your job easier! With our wired SureTempGPS temperature sensing, tracking and security capability, you will be in full compliance with the latest FDA laws. Work with the GPS fleet management application to collect and transmit exact temperature, location and security information on every vehicle. Send you information every five minutes to protect your vehicle and inventory. Calculate and transmit average hourly temperature by vehicle. Monitor high / low temperature thresholds and alert you (by cell phone, email or both) whenever refrigerated air varies from pre-set degrees. Monitors up to four customizable temperature zones per vehicle. peace of mind knowing your fleet is always in compliance. Take the chill off of worrying about your refrigerated trucks in your fleet and give Tracking Systems a call today. For more information about all of our tracking services, visit our website at www.track-sys.com or visit our Facebook page.